Glossy 22" x 28" poster with write on, wipe off surface. 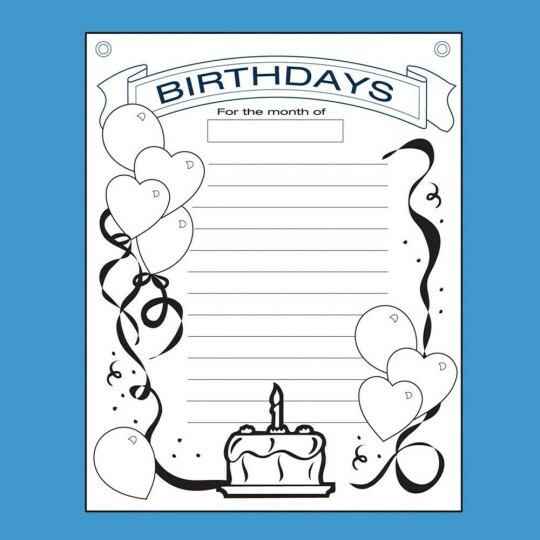 Use with water-based or dry-erase makers. Glossy 22" x 28" poster with write on, wipe off surface. Use with water based makers like our SC846 Color Splash!® Washable Markers. Reusable for years. Set of 12. 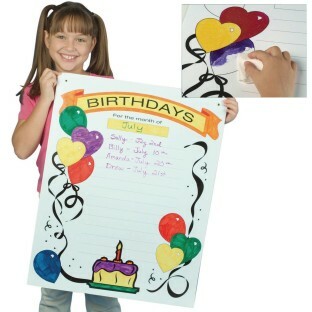 Love the idea of this but it stains easily and does not come off even with the dry erase remover spray. The Birthday Board is great for our residents to know and celebrate each others birthdays. Thought this was in color. I guess I didn't read it well enough. Will try and color it and use it anyway. Have been looking for one for awhile. Glad at least I found one.